UK creative agency Blue Kangaroo has been appointed to work with the popular US brand, Carroll Shelby on a new global retail guide. The team will set to work with the manufacturer of high performance vehicles such as the Shelby Cobra, Daytona Coupe, GT350 and the GT500 to create a global guide for dealers of the Shelby brand. 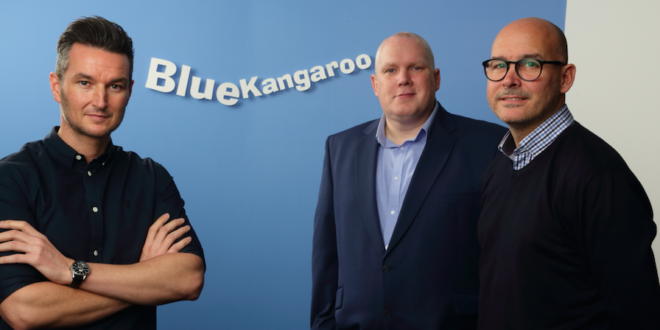 The announcement arrives as Blue Kangaroo celebrates its tenth anniversary this year. “To have been awarded the contract with Carroll Shelby really is the icing on our birthday cake,” said Jason Knights, managing director of Blue Kangaroo. “As we celebrate our achievements a decade down the line, we’re in a really strong position for the next 10 years and beyond. It’s not just about the work we deliver but how we work that really appeals to our clients – we’re good people doing good work and care deeply about the projects we’re appointed to. Carroll Shelby now joins a portfolio of big name brands to be working with Blue Kangaroo, including the likes of BBC Worldwide, Entertainment One and Warner Bros.